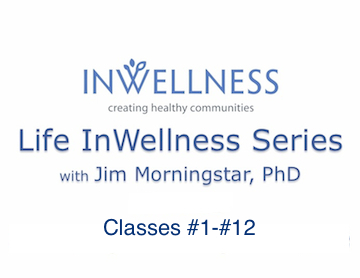 Jim Morningstar, PhD, author of three books on the art and science of breathwork, who directs one of the longest running training centers for dyadic breathwork, shares how the doorway to aliveness is right under your nose. Learn and become both a practitioner and teacher of therapeutic breathwork. Jim Morningstar, PhD, Director of InWellness presents an introduction to communicating feelings, which is a section of Class #9 in the Life InWellness Series: Communication. How we communicate feelings determines how effective we are at reaching others. This 7 minute introduction examines your communication style and effectiveness as well as ways to increase your abilities and satisfaction in the process. What is a Master Breathworker? Leonard Orr, founder of the modern rebirthing breathwork movement demonstrates the pranayama practice called “four shorts ones and one big one.” Leonard has been playing with ways to heal, energize and elevate consciousness with the breath since the early 1970’s. He has taught on six continents and circled the globe dozens of times. He has authored over 20 books in more than a dozen languages. Here he quips “How to get stoned in 30 seconds,” with the breath.